Microsoft stirred up a hornet’s nest among US advertisers a couple of weeks ago when it introduced a new version of Bing. Why? Because version 10 of its internet Explorer browser in Windows 8, which accompanied the Bing relaunch, has apparently gone soft on the civil liberties lobby, and set up a nasty precedent for restraint of trade. Need a bit more unpacking? Fair enough. It’s our old friend behavioural targeting – sometimes called behavioural analytics – that’s causing advertisers’ pulses to race. BT is the new frontier, allowing advertisers to plot an accurate path through our internet interests via specially implanted cookie files (more on this in my earlier post here). Without it, they are flying blind, or rather they are dependent on old-fashioned demographics-based contextual advertising, which is a bit like trying to find your bearings from a soggy map in the open-air cockpit of a pre-war biplane. …. says Bob Liodice, president & CEO, of ANA. Just why ‘imposing choices on the consumer’ is such a bad thing is not immediately apparent. Surely choice is at the core of the consumer society? But we know what he means: Microsoft hasn’t exactly been helpful to the cause. I have yet to discover whether Microsoft will be inflicting a similar burden of choice on consumers in Europe. UK advertisers have been breathing a collective sigh of relief now that the tireless efforts of ISBA, the Internet Advertising Bureau and EASA (European Advertising Standards Alliance), which had been arguing for a laissez allez approach to BT, have finally borne fruit. Privacy regulator The Information Commissioner’s Office (director-general, Chris Graham, pictured) has, after much havering, decided that what the new EU ePrivacy directive actually means is “implied consent” to carry on cookie-tracking. Which comes as a huge relief to thousands of website owners, let alone advertisers, who feared they were going to have to bombard users with innumerable trade-impairing pop-up warnings every time they wanted to activate a cookie. “Implied consent”, in other words, firmly shifts responsibility in law from the advertiser and website owner to the consumer. Not unnaturally, the industry has praised Graham – former director-general of the Advertising Standards Authority – for his “pragmatism”. But doubts remain about what will happen to the British position – which is, shall we say, a unique interpretation of the ePrivacy directive – once it is tested by case law elsewhere in the Community. Doubtless Microsoft’s decision back in the Land of the Free will not be considered helpful. And now for something in the great tradition of Opel cars that break down, but only in Spain – and Pepsi Cola that brings your ancestors back from the grave, if you’re Chinese. The IKEA Redalen bed, on sale in the global furniture retailer’s recently opened Bangkok superstore, is apparently a lot more seductive in Thailand than Sweden – Redalen sounding suspiciously like a word meaning advanced foreplay. Presumably, the bed can be bought in a job lot with the Jättabra plant pot, which appears to offer seventh heaven into the bargain. Bewildered Thais could not be blamed for attempting to invoke the local version of our Trade Description Act on discovering the products were not, after all, vested with mysterious aphrodisiac powers. The Mitsubishi Pajero: the car company noticed too late that pajero means “wanker” in Spanish. It was later renamed Montero. IKEA’s solution to the problem has been to employ a team of local Thai translators who purge the furniture names of stressful double entendres. Like me, perhaps, you missed one of this year’s most critical product launches. That’s because, for reasons still not entirely apparent, it took place on Easter Sunday. Never mind that though. All the most influential tech reviewers are agreed: the Nokia Lumia 900 is undoubtedly one of the finest smartphones money can buy, with its big, 4.3in screen, intuitive operating system, 8 megapixel rear camera and VGA front-facing cam, not to mention 4G LTE data capability. And at the astonishing price of only $99 (terms and conditions apply, 2-year contract only, sorry rest-of-the-world, you’ll just have to wait and see…), it looks like a snip. But will it be? The Lumia’s significance lies not so much in it technological prowess as who’s behind it. This may be the first and only chance for Nokia, Microsoft and AT&T to break the iPhone’s increasingly assured stranglehold over the sector. Nokia, once hailed the world’s leading mobile phone manufacturer, has so far made almost no impact in the dynamic smartphone sector dominated by Apple and Google/Android. Microsoft, developer of the admired but definitely connoisseur-only Windows Phone 7.5 operating system, has so far lacked a suitable vehicle to gatecrash the market. And AT&T, the US carrier with sole Lumia launch rights, is playing a desperate market catch-up game with its rivals Verizon and Sprint Nextel, after earlier losing exclusivity over US iPhone sales. Little, apart from that quirky Easter Sunday launch date, is being left to chance. And with some of the world’s powerful brands behind it (AT&T, for instance, is America’s second biggest advertiser) it seems hard to conceive of abject failure. 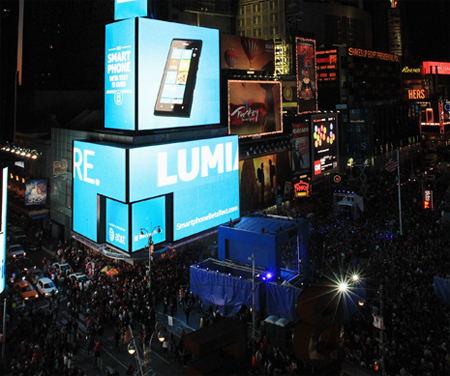 AT&T alone is spending $150m through BBDO on the Lumia launch campaign – more than it ever spent on the iPhone. And there has been much hullabaloo in Times Square with a spectacular live event – watched by “tens of thousands of people” and videoed on Facebook – featuring 60-foot CGI-generated waves which cascade down a building. The Lumia 900 is fast, beautiful and powerful, inside and out. Unfortunately, a happy ending to this underdog story still isn’t guaranteed. Windows Phone 7 faces the mother of all chicken-and-egg problems: nobody’s going to write apps until WP7 becomes popular — but WP7 won’t become popular until there are apps. And it’s anyone’s guess when that might be. Things really must be getting better in the global advertising economy, the cynical might observe. Interpublic, the world’s fourth-largest and most financially challenged advertising conglomerate, has just reported a decent set of Q4 results. Despite a heavy kicking from principal clients SC Johnson – which quit after decades at IPG subsidiary DraftFCB – and Microsoft – which withdrew all its media strategy and planning business from media powerhouse Universal McCann – IPG was able to report profits (net income) up nearly 40% (50 cents compared with 36 cents per share) on revenue slightly ahead at $2.07bn. 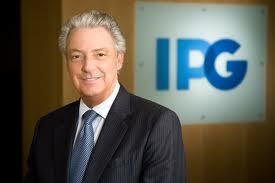 Admittedly IPG chief executive Michael Roth was wary of calling a recovery. “We have some local wins and some existing clients spending money, but I wouldn’t say that the recovery is taking hold and we’ve seen bottom,” he said during the conference call. But that cautious scepticism was surely belied by his assertion elsewhere that the company is setting out on the acquisition trail. Besides, a slew of uplifting data elsewhere seems to suggest that IPG’s positive figures are not an isolated anomaly. Publicis Groupe and Omnicom, respectively numbers 3 and 2 in the world, have already posted Q4 results ahead of analysts’ predictions. WPP has yet to report, but there is no evidence the results will be grim. On the contrary, I have every reason to believe pre-tax profits and revenue will be well ahead of analysts’ expectations. More circumstantially, but no less significantly, the US Advertiser Optimism Index – roughly equivalent to the IPA/BDO Bellwether Report over here – has just reported the second-highest level of confidence in ad budgets being raised since 2008. The index, published by research company Advertiser Perceptions, measured the sentiment of advertisers and agencies during October and November. 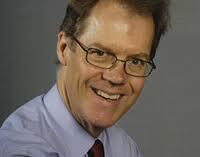 Finally, UK-based WARC has just produced a report suggesting America is leading the world out of (ad) recession. “Marketing spend in the Americas increased sharply in February,” it noted in an update to its monthly Global Marketing Index. Even doldrum European ad markets are experiencing “improving conditions”, it seems. Let’s hope IPA/Bellwether doesn’t spoil the party with its next quarterly report, which must be coming out quite soon. News reaches me that Publicis Groupe has raided one of its most important marketing services outlets in China, after corrupt practices came to light. Betterway/Publicis Dialog, the outlet in question, is China’s largest field marketing network, with offices in Shanghai, Beijing, Chengdu and Guangzhou. The company is said to have raided its subsidiary last week and to have sent all staff home. Arrests are rumoured, but unconfirmed. 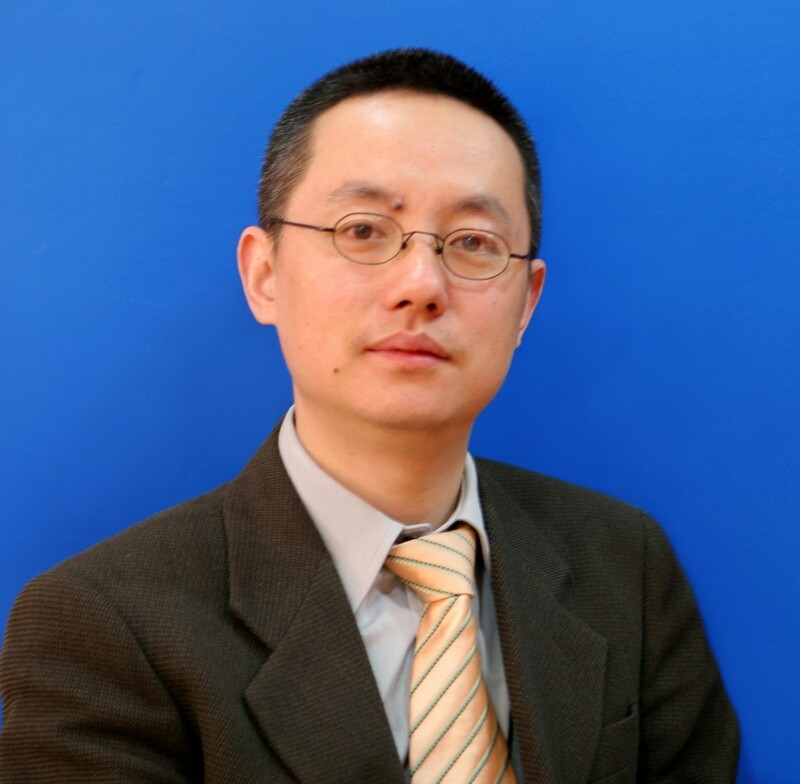 The driving force behind Betterway is CEO York Huang, a former Procter & Gamble executive, who joined the company in 2001. 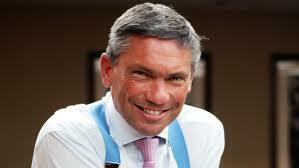 In 2006 PG acquired an 80% stake in Betterway. Huang and junior partner Jenny Zhang remained minority stakeholders. Two years ago, PG claimed Betterway had 346 full-time employees and 15,000 part-time staff operating in over 100 cities. Principal clients include Wrigley, Kraft, Microsoft, J&J, L’Oréal, Coca-Cola and Samsung. Betterway won a substantial contract from China Mobile and China Telecom to represent them at the high-profile 2010 Shanghai Expo. What has gone wrong? It seems that despite the Chinese marketing services economy growing at over 10% a year, some just can’t get their hands on enough money. The speculation – and I stress that it’s no more at this stage – is certain senior Betterway executives created a ‘shadow’ agency which then pumped revenues into Betterway in order to inflate revenue, and thereby substantially boost their earnouts. 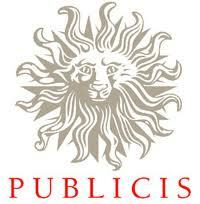 Publicis has had problems dealing with corrupt practices in its Chinese operations before, of course. Readers of this blog may recall that, in September 2010, it fired Vivaki Exchange’s chief executive Warren Hui and general manager Ye Pengtao . More on the Betterway story when I have it.